Hang Ten: Gift of Denim Promo! Shop and donate! 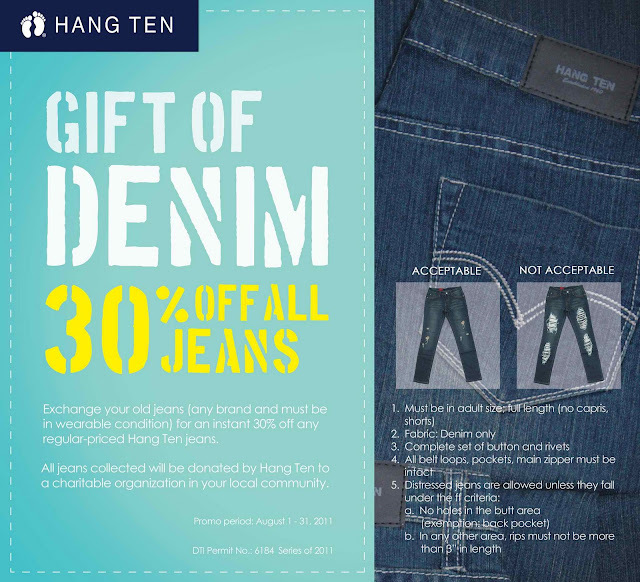 Hang Ten has an ongoing promo wherein you can exchange your used jeans for a 30% discount on regular priced items + a chance to help others. Win-win. :) Read the poster for the exchange requirements. :) Visit HANGTEN on Facebook now! Wow, great idea. :) Thanks for sharing.